How to Integrate Yale Real Living Touchscreen Deadbolt with SmartThings? 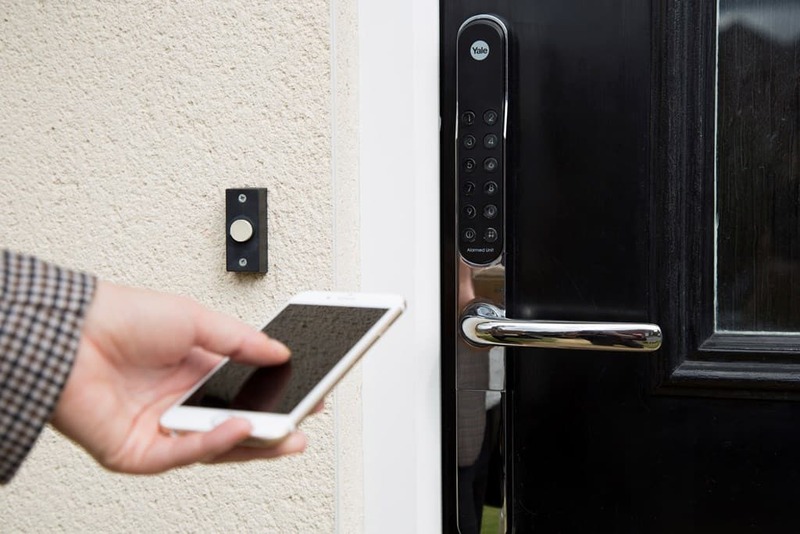 Yale – one of the most renowned brands in security locking systems, has got several products in the Home Automation segment offering some of the very unique solutions to users ensuring top layer of on-board security. The Yale security solutions for Home Automation cater to wireless solutions and even offer easy third-party-device compatibility and pairing. This will allow users to lock/unlock their Yale Real Living Deadbolts remotely just from their smartphones. Let us take a look of how to integrate the Yale Real Living Touchscreen Deadbolt with SmartThings. You just need a SmartThings Hub, Yale Touchscreen Deadbolt and a smartphone for the remote option. So once that you are done with the basic installation [Read: How to install the Yale Real Living Touchscreen Deadbolt? ], follow some of the quick steps to guide about how to pair/unpair your Yale Touchscreen Deadbolt with SmartThings. Step 1: Activate your lock and make sure you have installed the Wireless Network Module. Step 2: In your SmartThings app, go to Marketplace–>Things–> Connect New Devices. The app will start looking for new things showing a message I’m looking for new Things. Press # key. Press 7. Press # key. Press 1. Step 4: Once your Yale lock is discovered, you will get the message #ThingsFound and the device will appear in the list below. Step 5: Tap the device and follow the in-app prompts to configure it. Finally, click on Done. Sometimes it might happen that your Yale Deadbolt in spite of being connected might now show up in your app or it might not function as desired. In this case, we suggest you to remove the Yale Deadbolt from the SmartThings integration and then pair it again. Click on My Home–>Things. Select the device then tap the gear icon and click on Remove. Confirm the removal.